… has me reflecting this afternoon on my own experience watching the 2008 Auburn-Mississippi State game… out in Tuberville Country. Angelina woke up in her Auburn shirt this morning, how ’bout you? In some ways, it was the most beautiful game I’ve ever seen. I sweat, I shout, I twist, I pout, I fall in love with every single one of those guys and in my eyes they do no wrong. They are covered in the blood of unconditional grace. And they win. They dominated the game across the board. Would-be skill players beware: the Auburn defense is an unending chain of demons whose only joy in life is the ruin of dreams, a bottomless pit of ravenous beasts, ever thirsting for the precious liquor they will wring from your soul. God help the soon-to-be-Croyle’d quarterback dumb enough to take a snap across from their eager maw. Mothers: send your sons to Auburn or teach them to play soccer. Your love demands no less. After last night, I don’t even think the soccer fields are safe. Mothers: send your sons to Auburn or kill them in their sleep. Because 1988, yeah, ’88 was awesome. But holy mother of pearl, 2008? Ubermenchen, all of them. This is Fifty-Sevenian… Mongolian hordes… beyond your dreams, beyond your nightmares, beyond your morality. Paul Rhoads is my hero. Sure, there’ll always be a soft-spot, but Texas can have the antics, I’ll take Lonesome Rhoads any day. As for the offense, I hold fast to a promise made with laid-back smiles and statistics: that we ain’t seen nothing yet. Say what you will — yes, we fumbled… yes, of course Kodi should have been called out in the red zone, just like last year. But this notion (based more on the erratic method of production and high, unmet expectations) that we’ve completely stroked out on offense is nonsense (thankfully I’m not alone on that). Not good enough to win in the SEC? No offense (yes! ), Col. Angus – we just did win in the SEC. We won our first SEC game, we won it at night, on the road, with Chris Todd at the helm every single play. And I don’t know much, but I do know that I finally saw hints of the vaunted arm Tony Franklin pined for this spring. It was an awkard cannon, maybe more of a catapult, or maybe a slingshot, it was weird, but it got the ball far and fast and where it needed to go, when it needed to go. God knows I love Kodi. But though this’ll sound crazy, I promise it’s true: Chris Todd is, true story, an Auburn Tiger. Yes, we’d never heard of him. Yes, big time out-of-towner. Yes, his signing had a nepostic whiff. But no, he and Tony Franklin aren’t related, they’re not lovers, they’re not anything but a player and a coach who, heaven forbid, believes in him. So aim some sunshine at this cloud of suspicion. He’s our main man right now. Get to know him, something about him (like that his Dad coaches high school ball and is going to burn $2,000 in gas just to see Chris play this year). Read between the lines. Welcome him. It’s Hey Day. War Eagle, Chris. It’s the damn novelty of the score, not the full-context reality of the game, that’s got everybody so pissed off, so dreading the Nelson laugh. Screw Nelson. 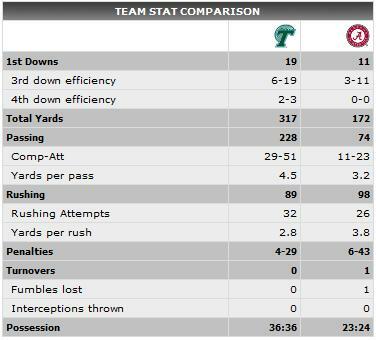 Nelson’s offense only managed 172 yards against Tulane. Nelson is a tool. No doubt brothers, it was a frustrating game. But if you’re wringing those hands, keep them away from me. If you’re bashful, you’re a liar. You’re not a fan. You’re a spectator. I’m fine with (a little) critique, I’m not fine with fear. Real Auburn family: make your way to the front and raise your swords. I think to this point last year. 1 and 3. I’d gone to the game with my neighbor, an elderly gentleman. We sat in the steam. It was in the Mississippi State section. And we somehow watched Auburn lose. We watched Mississippi State fans, poor Mississippi State fans, not even know how to process victory, we watched them leave the game when they were winning because they still expected to lose, which they should have. There are guts strewn about the Jordan-Hare of our hearts, the field sopped with tears and fluids. 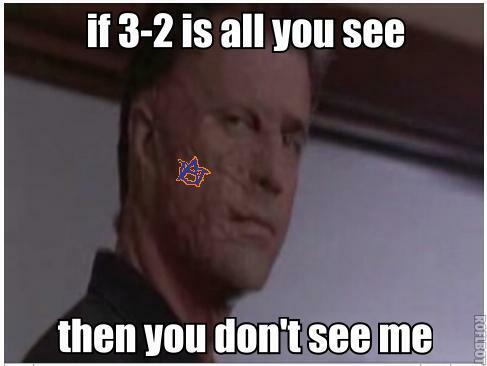 The rest of Auburn’s season is wide open, a grand canyon of sheer terror. And then I was predicting a win against Florida, defending (one loss – to us)- Nat’l Champs. Ask the Heisman Trophy how that one turned out. Hope and rebellion – that’s what Auburn does. And other than the temporary mangling of Lester — hallelujah he’s OK — I think I loved every second of it. Auburn 55 – Mississippi State 31. That video had my dying in laughter. Good thing I’m laughing now, cause I was definitely not laughing then, I assure you. the video – my cheeks are wet, but i honestly can’t tell if i’m laughing or crying. like watching your sweet old grandmother slip on a banana peel.